In September 2009, two of the greatest minds in music decided to form a band and best believe the music world is still not sure what to expect. James Mercer of The Shins and world renowned hip hop producer Brian Burtman(Danger Mouse) have announced that Broken Bells will release their self titled debut album on Columbia Records. More information about this project should be revealed in the coming months. For now, take a listen to their new single, The High Road. Formed in Cleveland in 1975, experimental rock group, Pere Ubu has become a staple of the underground music and art scenes, maintaining a modest yet devoted following who have gravitated towards the band’s uniqueness, theatrics and zest for the unconventional. Rejecting the confines of the music industry, founding member David Thomas has insisted the band embrace the atmosphere, energy and imagination of the theatre over the formulaic programs that have come to define current rock shows. Dirtbag Journalism: Pere Ubu has maintained its unique sound for over 30 years. How did the band successfully maintain its individuality during such musically turbulent decades? Was there ever any pressure to adapt to the mainstream? Dave Thomas: As the American republic is dependent on a strict adherence to its Constitution, Pere Ubu is dependent on its Rules. These rules are laid out at ubuprojex.net/protocols.hmtl. (Note that there are some “secret” Rules which are not published, but that’s because the public (civilians) wouldn’t understand them.) Lately at least (the last 30-odd years) we have been more successful at sticking to our Rules than the politicians have been at sticking to the Constitution. The Rules are not “living” rules. They are immutable and written in stone. There can be no deviance. There is no such thing as an insignificant rule, or a flexible interpretation. In fact, the more the rule seems to be insignificant and picayune, the more significant it is. I had a discussion with Mehlman just the other day about this. 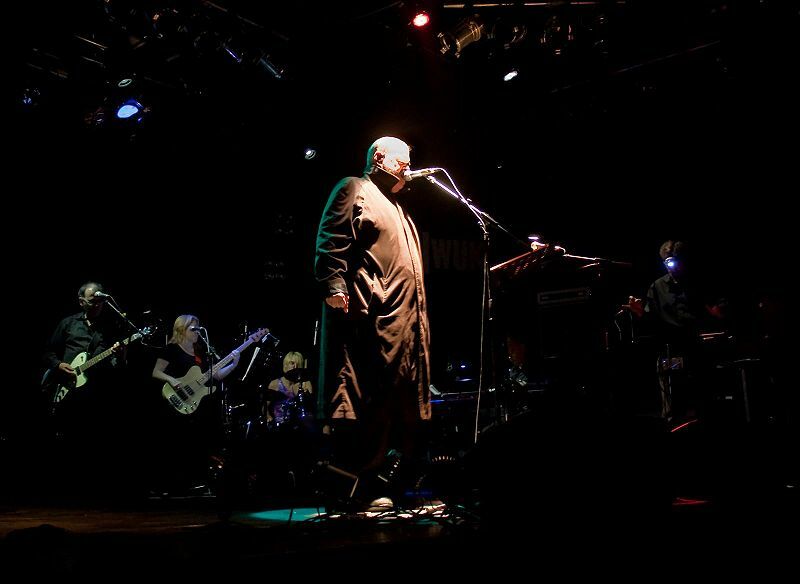 Over the years he has come to see the wisdom of the way that Pere Ubu operates and is now teaching his music students and other bands to adhere to the same principles. He has now converted to the Ubu Way whereas at first he was youthfully sceptical of immutable authority. The World changes – we do not. We are the Mainstream. There is no pressure to adapt to ourselves. We define what the Mainstream is. It am us. 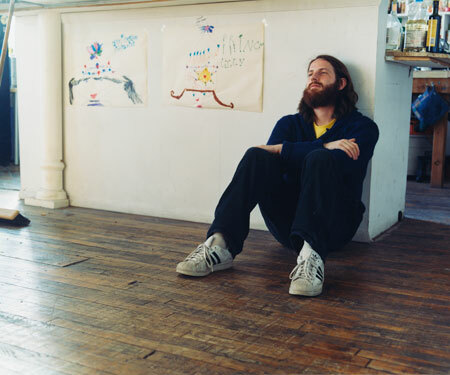 DJ: What years would you cite as the most creatively stimulating? Do you enjoy the creative process more as the years progress? DT: I wouldn’t, and no. I do not think in terms of “creative stimulation”. I hate having to write. I hate having to be “creative”. Really don’t like it. In fact, I resent it. That’s why I try to get as much money out of promoters and record companies as I can – to get back at them for making me do concerts or write albums. Bastards. DJ: You coined the term “Avant-Garage” as a joke to give journalists a term to use while pigeon-holing. Why do you think society and the media constantly want to categorize music and genres? DT: The media pigeon-holes because most of what they busy themselves with is meant to be pigeon-holed. It’s consciously produced to fit into a pigeon-hole. The media can’t be blamed for that. Of course the media works to templates. The classic recent example was the hoax Chamber of Commerce press conference staged in Washington. The major news agencies and networks were there eagerly writing down everything the hoaxer said. They were delighted because the hoaxer was giving them the Template they wanted to report. When an official of the actual Chamber of Commerce showed up to inform all assembled that this was a malicious hoax, one reporter told him to shut up and let the hoaxer finish because they had a deadline. They didn’t care what they were going to report was a lie. The lie fit what they wanted to report. It fit the pigeon-hole. The Media produce and promote the Universe of Lies. THAT they can be blamed for. DJ: Your latest album, Long Live Pere Ubu! continues to uphold the band’s uniqueness and integrity. What do you consider the biggest difference between this album and 30 Seconds Over Tokyo? DJ: What aspect of this album are you most proud of? DT: I am personally most pleased with the production, the sound of it. I worked very hard to use sound itself as much as possible to create the narrative thread. Also, I suppose I contributed more musical ideas to the album than I have ever done before and worked hard to shape the musical structure of the songs according to organic principles of time. Musically, the structures of many of the songs makes no sense if analysed. But listeners don’t analyse. They’re not supposed to. They’re supposed to get the ideas and see the visions. We’re going to hold you to that sir.